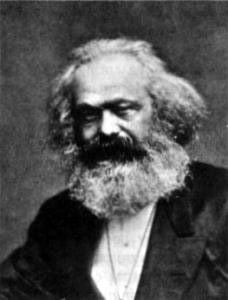 In Marxist political economy, the rate of exploitation is defined as the ratio between the total amount of unpaid labour carried out (surplus value) and the total amount of wages paid (the value of labour power). It forms one of the key theoretical bases for the socialist contention that all wage labour is, in its very nature, exploitative. Now, I’m probably not reading the right specialist journals. But I don’t recall any recent attempts in the left press to calculate this statistic for the major capitalist economies. ‘US companies have increased their share of the economic pie at a faster rate over the last five years than at any time since the second world war. ‘Recent government figures show that profits from current production as a share of the national income have risen from 7% in mid-2001 to 12.2% at the start of this year. ‘This rate of growth is unprecedented since collection of these figures begun in 1947. And, as the slogan used to go, what about the workers? ‘As profits have increased as a share of national income, the return going to workers has been in decline, falling from 58.6% in the middle of 2001 to 56.2% in the first quarter of 2006. ‘Paul Donovan, a global economist at UBS, believes that the negotiating position of US workers may have been weakened by globalisation.